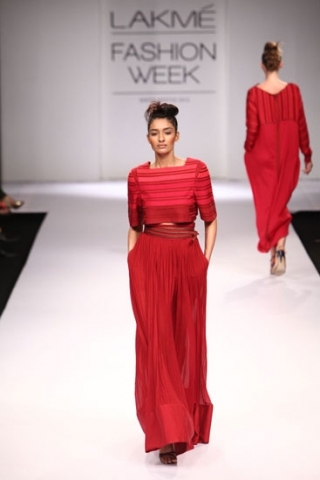 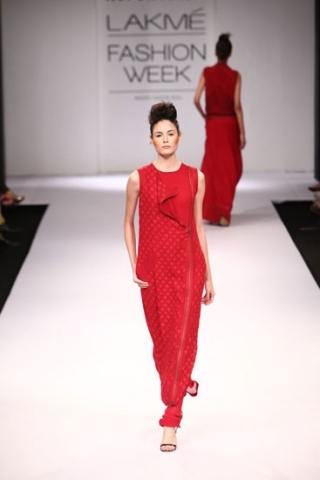 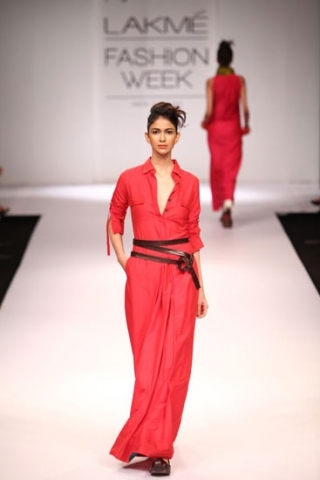 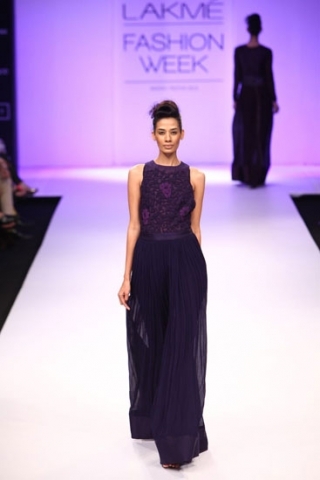 Bringing a relaxed feel to the runway, Nupur Kanoi created a laid back collection using low cut slim fit trousers, sheer fabrics, and maxi skirts. 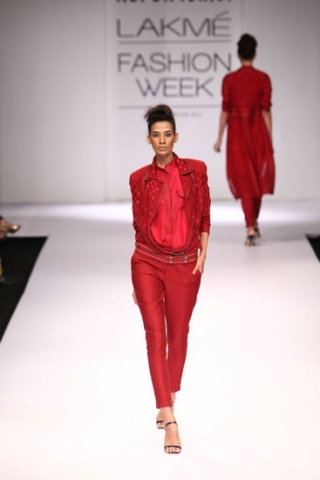 This is one of the first collections on the run way that screams out ready to wear and is perfectly made for Autumn / Winter. 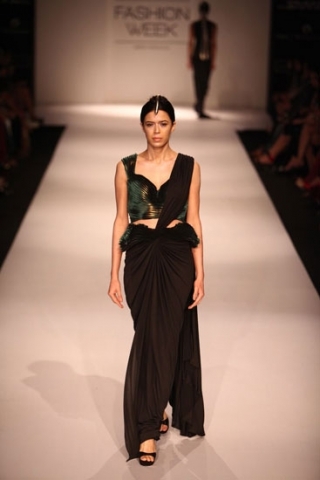 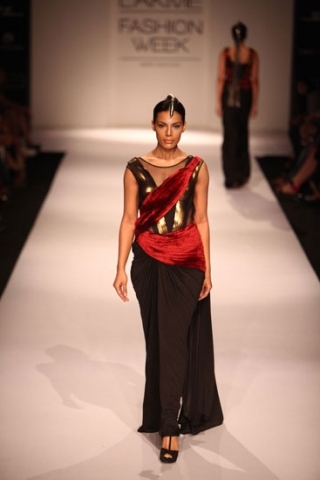 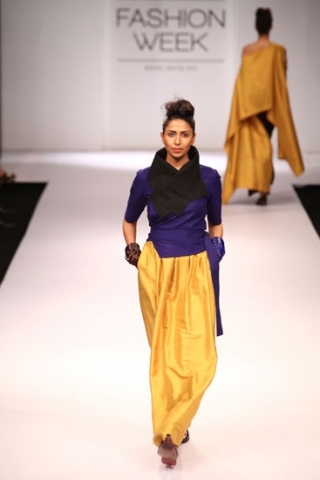 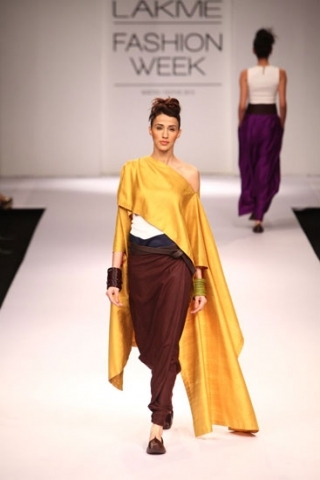 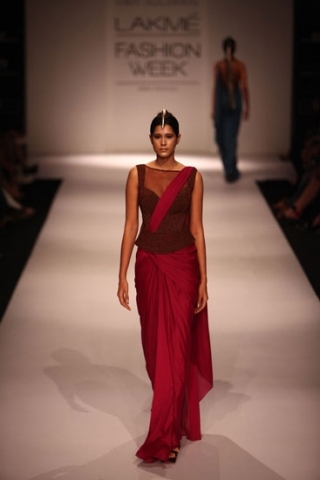 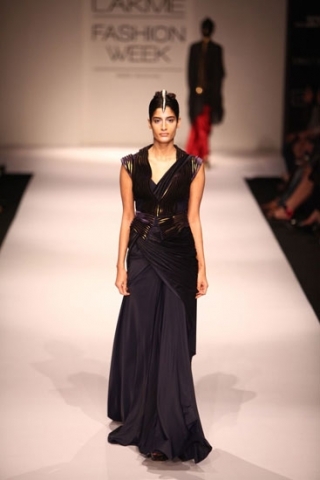 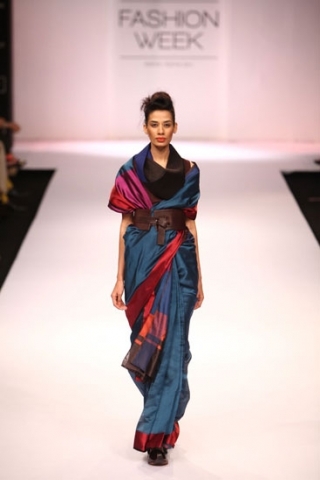 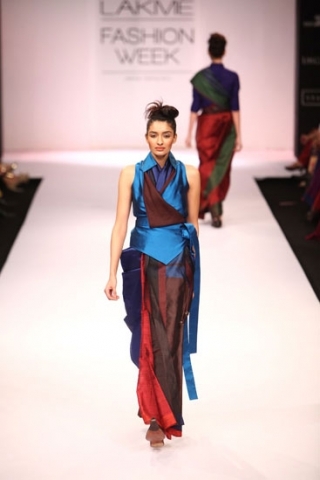 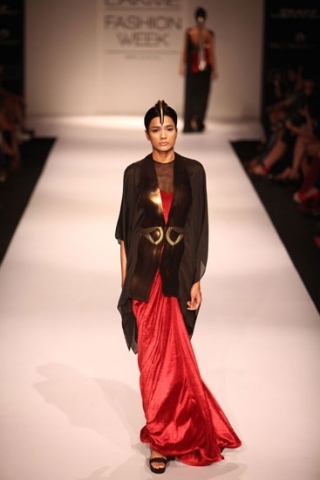 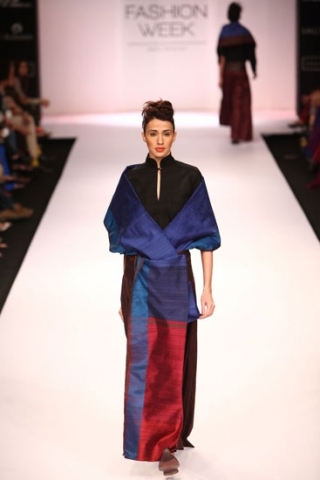 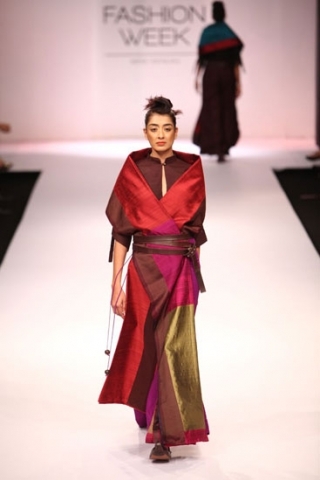 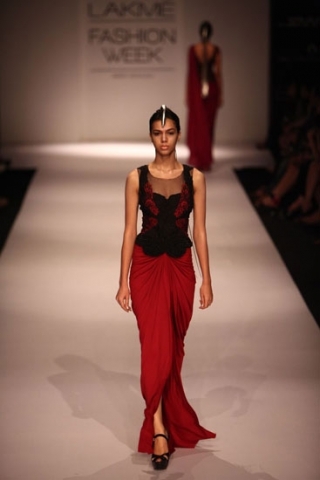 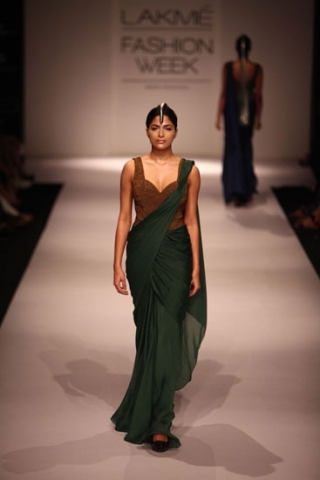 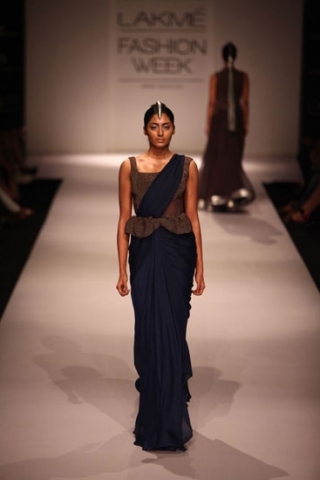 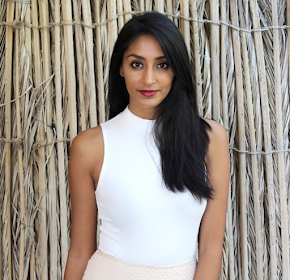 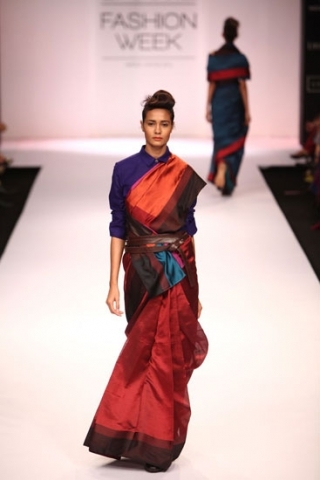 Payal Khandwala has created a great eclectic collection using rich silks, different styles of cuts, and various draping techniques. 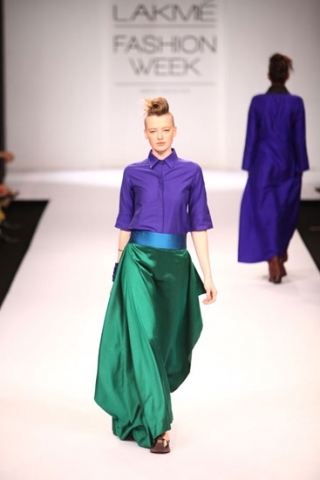 The collection is put together simply and effortlessly - love it! 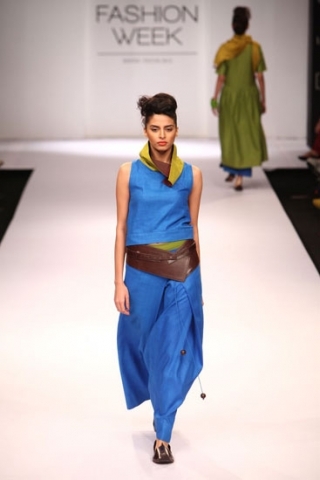 Some quirky, fun and futuristic collections! 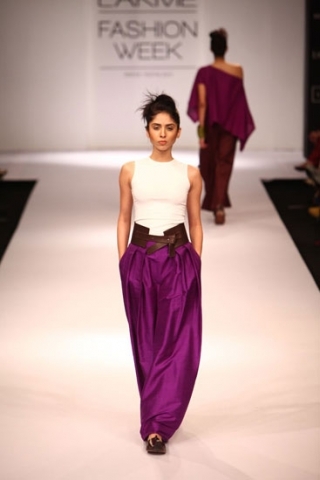 Great modern touch to the pieces and would wear almost everything that's been posted today, would you?